Your windows set the mood of your home by inviting in light, shutting out the world, and revealing your personal style. At the same time, they are subject to the same wear and tear as the rest of your residence. If you’re thinking about purchasing replacement windows, here’s what you should know. Age: Most windows last at least 20 years. If you’re renovating a historic home, it might be smarter to replace the windows altogether. Warping: Warped, broken, and otherwise damaged window frames or sashes can lead to problems down the line. They might become difficult to open or close, could fog up, and may let in drafts/water, among other problems. Style: Sometimes, you just need a change. If you want to switch the aesthetics of your home and boost your property’s curb appeal and value, replacing your windows is super effective. Energy-Efficiency: Drafty windows impact your utility bill; if you’re spending all day heating your home, that hot air can seep out through warped window frames. Replace them with energy-efficient materials, and enjoy the savings. Your budget, personal preferences, and even climate can play a role in your ultimate window installation. With so many colors, types, and shapes to consider, it’s easy to wonder which option is right for you. Speak with a contractor to pick the perfect replacement windows for your home. 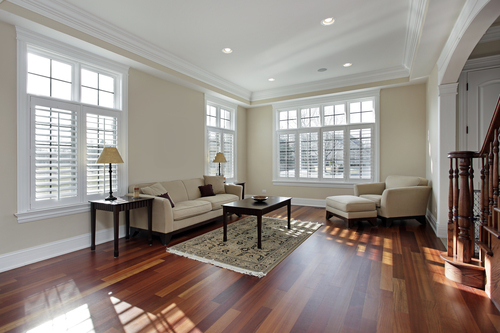 They can help you determine the shape of your windows and narrow down the best options for you. For over 20 years, Innovations Siding & Windows has been proud to serve the Lincoln, NE, area with high-quality workmanship and superior customer service. This family-owned company offers seamless siding, replacement windows, and gutter replacement services. Schedule a free estimate today by calling (402) 423-8831, or visit them online to read their glowing reviews.